Broken Biscuits is part of Paines Plough’s Programme 2016 which has also included Sabrina Mahfouz’s With A Little Bit of Luck, Come To Where I’m From: Ahead of the new coming-of-age comedy world premier of Broken Biscuits. I had a chat with its writer, Tom Wells, about how he came to be a playwright, being part of Paines Plough 2016 season and getting something stuck in his throat. Hi Tom! Can you tell us a secret about Broken Biscuits? Something really good happens at the end. How did you come to be a playwright? I did a course at the West Yorkshire Playhouse in Leeds – you didn’t need to have written a play before, you just wrote them a letter and had a go. Some things I did in the workshops ended up being my first play, which they put on. And then I just carried on. When was the last time you got something stuck in your throat? The other day I was trying to explain something a bit awkward and eat a Tunnock’s Caramel Wafer at the same time and it went a bit wrong. What emoji best sums up your life at the moment and why? The biscuit is popping up quite a lot just lately. Have you ever managed to get a cuddly toy out of those machines with the claw thing? What’s the most embarrassing thing you’ve done while drunk? I woke up in a skip once. But my friend Kate got in a bin and weed so it seemed less bad. Broken Biscuits is part of Paines Plough’s Programme 2016 – that must be exciting! Could you tell us a little about your history with the company? I first started working there in 2009 – Tessa and Rox, who now work at Birmingham Rep, ran a year-long attachment called Future Perfect, which was brilliant. We put short pieces of work on, talked to lots of different writers, went to see properly good plays and somehow just turned into playwrights. And then James and George took over and commissioned a play called Jumpers For Goalposts, which James directed in 2013. And we had a good time working on it so we’ve had another go, which is Broken Biscuits. I think Paines Plough as a company has got magic in it. It is lovely to be part of this year’s Programme. Easy question: who do you think is the best living playwright? 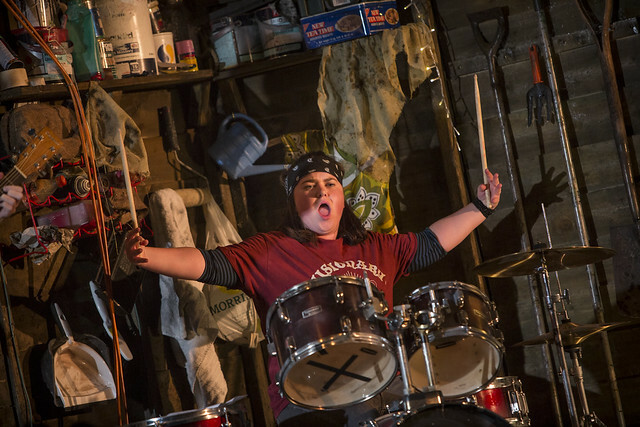 Following it’s run at Live Theatre in Newcastle, Broken Biscuits will be heading out on a UK tour – are you excited for audiences around the UK to see it? Broken Biscuits opens at Live Theatre in Newcastle upon Tyne from 5 – 22 October before embarking on a UK tour. Click HERE to buy your tickets for Broken Biscuits. https://www.mrcarlwoodward.com/wp-content/uploads/2019/02/new-logo-img-300x27.png 0 0 admin https://www.mrcarlwoodward.com/wp-content/uploads/2019/02/new-logo-img-300x27.png admin2016-10-05 10:13:502017-04-08 04:26:08Interview: Broken Biscuits Tom Wells: "The other day I was trying to explain something a bit awkward and eat a Tunnock's Caramel Wafer at the same time and it went a bit wrong"